What to do? Shops exhausted. Christmas markets all ticked off. Singing Christmas tree marveled at. What I needed was a dose of mountain air and some snow. 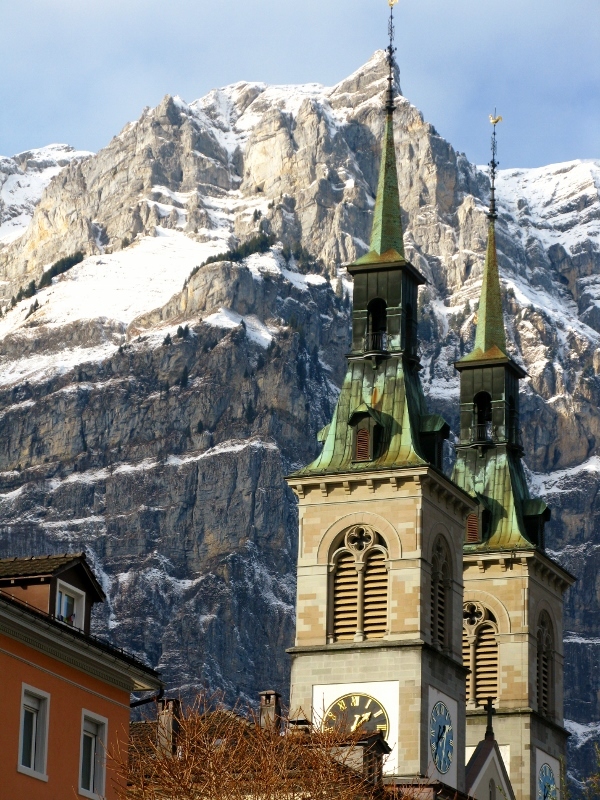 So we headed to the hills – the Alps – for lunch. As you do. When you’re in Switzerland. 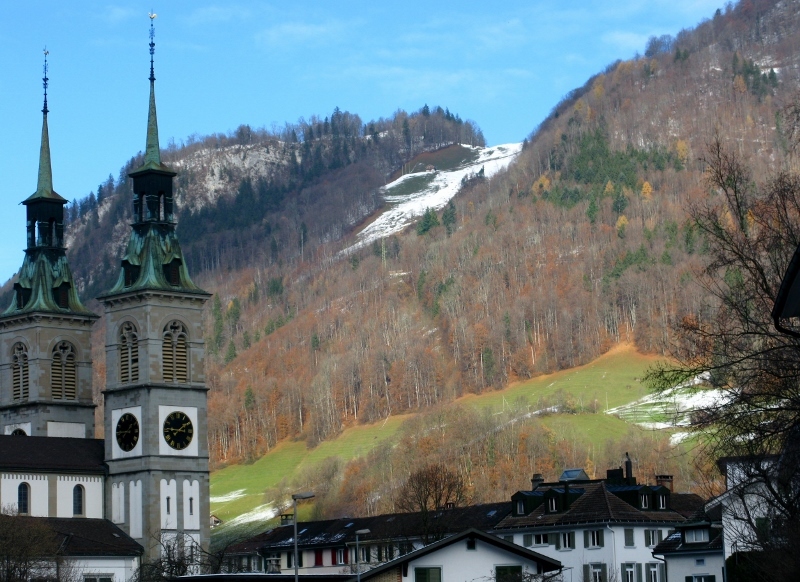 My Swiss geography isn’t great so it wasn’t surprising that I’d never heard of Glarus. All I knew was that it was in the mountains and had some vague connection with the great Emperor Charles the Fat (what a fantastic name!). Apparently the town was practically wiped out in a fire in 1861 and few buildings remain that are older than that time. 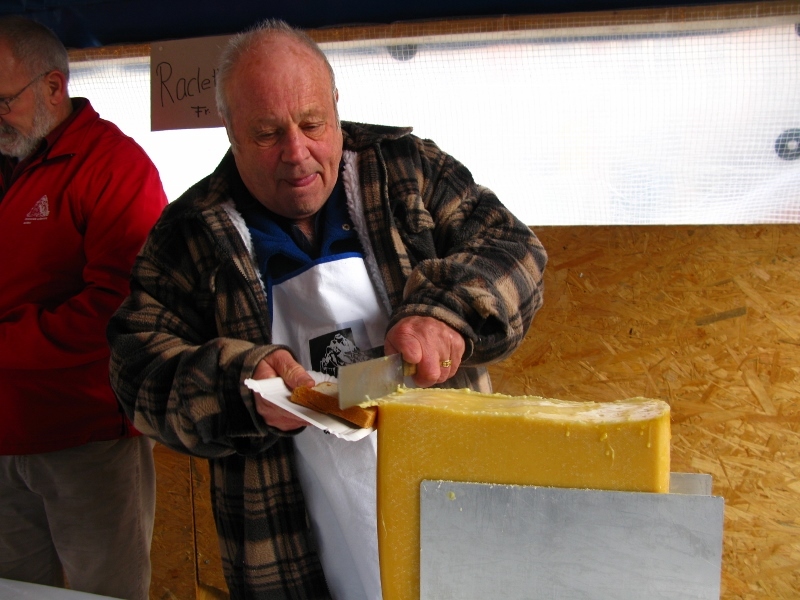 It was here in Glarus that I first tasted raclette. This cow’s cheese is perfect for melting and indeed has given its name to the dish that is primarily melted cheese. The term itself term comes from the French word racler, meaning ‘to scrape’. 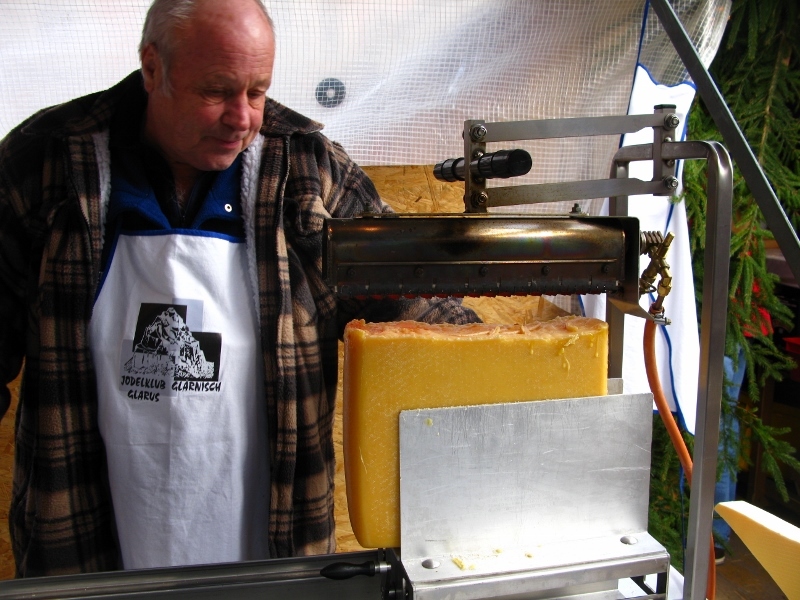 It was so good that I went back for seconds and just last week, on my return to Budapest, actually invested in a raclette grill which is guaranteed to produce just the right degree of melting complete with room to grill the accompanying veg. 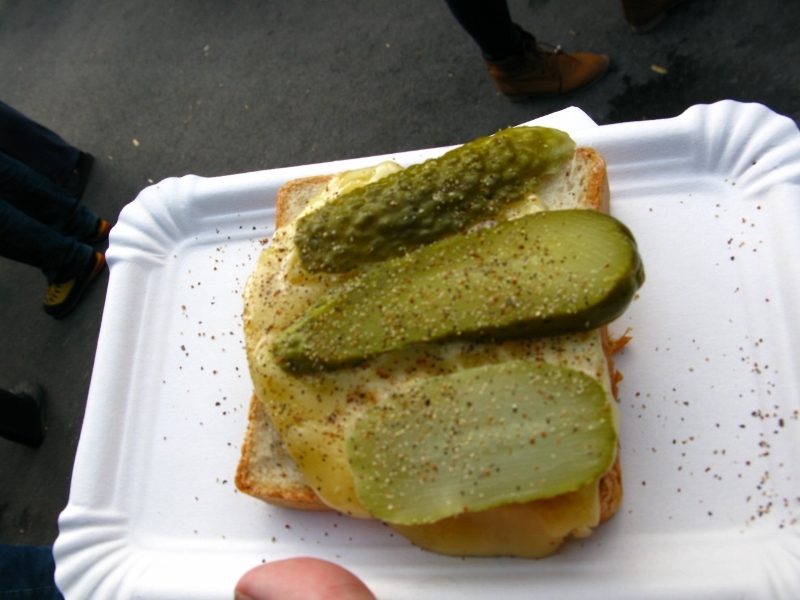 A little fancier than the pickled gherkins on offer at the market but hopefully just as tasty. Watch this space. 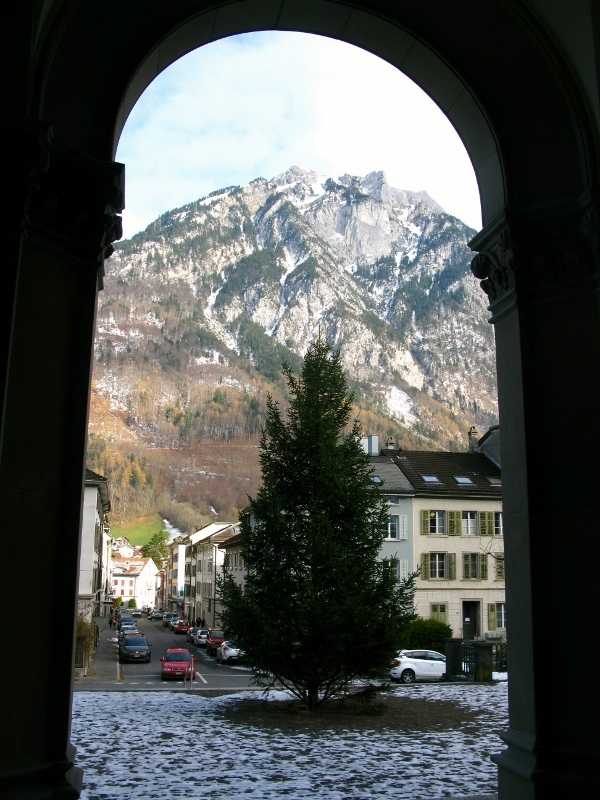 So there we were, wandering through the Christmas market in Glarus, sipping gluhwein and scoffing raclette. All we needed to complete this rather typical Swiss picture was a yodel or three. 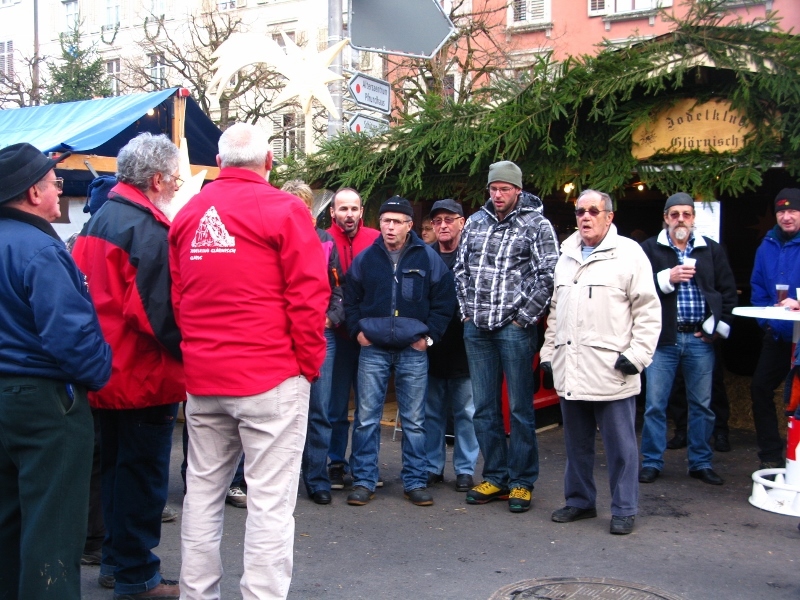 The words were literally just out of my mouth when my raclette guy abandoned his cheese and stepped outside to join a rather motley looking crew of carolers that turned out to be the local yodeling group. When they finally started to yodel, I thought I’d died and gone to heaven. I couldn’t have ordered a more picture-perfect afternoon. There’s a lot to be said for wishing out loud… you never know who might hear and oblige. How lovely! ‘New Glarus’ sprang to mind, a craft beer company that makes New Glarus and Spotted Cow beers (among others). New Glarus Wisconsin calls itself America’s ‘Little Switzerland’ http://www.newglarusvillage.com/ You’ll have to come visit someday!